For lovers of fried fish. Lovers of fried fish need look no further. Juicy fish cooked just like a potato cake. 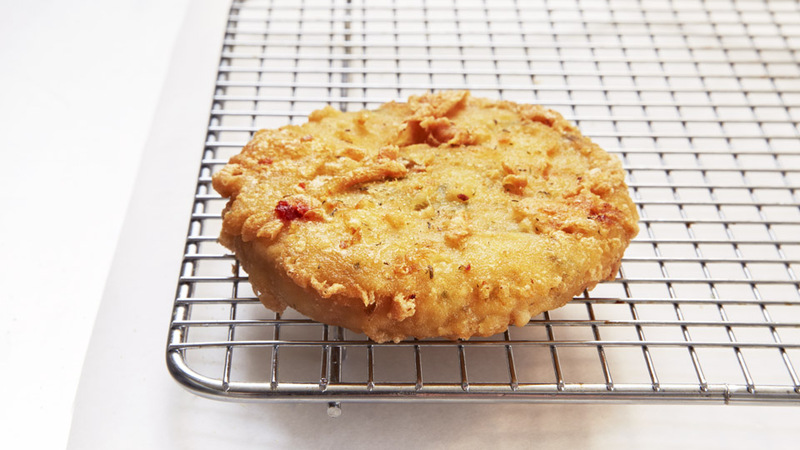 Golden crispy batter and juicy fish flavour – yum!